Thermo Fisher Scientific’s headquarters in Waltham. 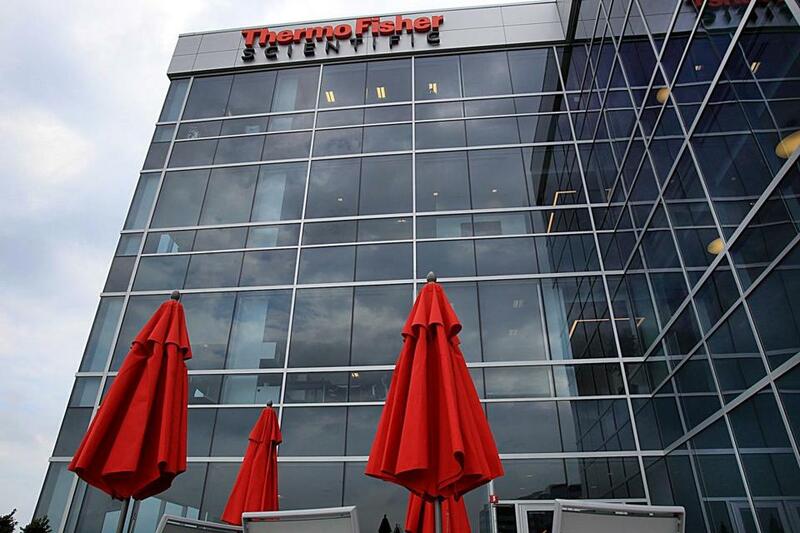 Thermo Fisher Scientific is buying Brammer Bio of Cambridge for about $1.7 billion as the giant Waltham-based laboratory equipment supplier moves into the fast-growing area of gene therapy. Brammer Bio makes viral vectors that are used to deliver genetic material into defective cells in the hopes of treating or possibly even curing an inherited disorder. Brammer, a contract development and manufacturing organization hired by drug companies to assist them, has nearly 600 employees in Massachusetts and Alachua, Fla.
“Brammer Bio will be an exciting addition to our pharma services business and will further strengthen Thermo Fisher’s leadership in serving pharma and biotech customers,’’ said Marc N. Casper, the chief executive of Thermo Fisher Scientific. Earlier this month, Cambridge-based Biogen announced that it was buying the British gene therapy company Nightstar Therapeutics for about $800 million. Brammer has helped drug makers develop and test gene therapies in humans in more than 100 projects, according to Brammer’s cofounders, Mark Bamforth, the firm’s chief executive, and Richard Snyder, its chief scientific officer. Brammer is owned by Ampersand Capital Partners — a private equity firm with offices in Boston and Amsterdam — and by its cofounders. Thermo Fisher has about 70,000 employees worldwide and annual revenue of more than $24 billion. Its market value totals more than $106 billion. The company has made several acquisitions in recent years, including the 2016 purchase of Oregon-based FEI, a maker of electron microscopes used by researchers, for $4.2 billion. At the time, Thermo Fisher had spent almost $20 billion buying companies in a three-year period.